The Glass Milk Cow is part of our new range of antique French home accessories. 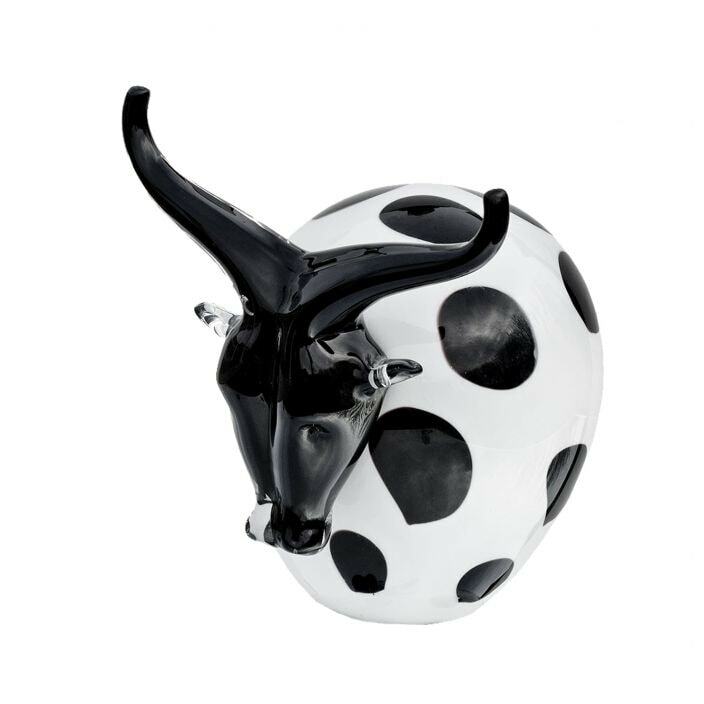 A very stylised hand made milk cow made from blown glass, it has a unique look with its surreal black and white spotted body and large black horns. Ideal for around the kitchen, you will definitely want to take this cow home, adding great style and aesthetics in your wonderful home.